Chef Tracy Fleming left L.A and her career with Nestle in their test kitchen to start her own food business in late 1997. She opened Ocean View Sweets in 1997 with her amazing Chocolate Espresso Truffle Cookies, Cranberry White Chocolate, Peanut Butter Chip with Toasted Peanuts and Milk Chocolate Chunk, having crafted their recipes in Santa Barbara in a rented kitchen. Tracy’s mother, Lisa Fleming, joined her shortly thereafter with a crazy notion to make Handmade Marshmallows, initially intending to sell them locally. 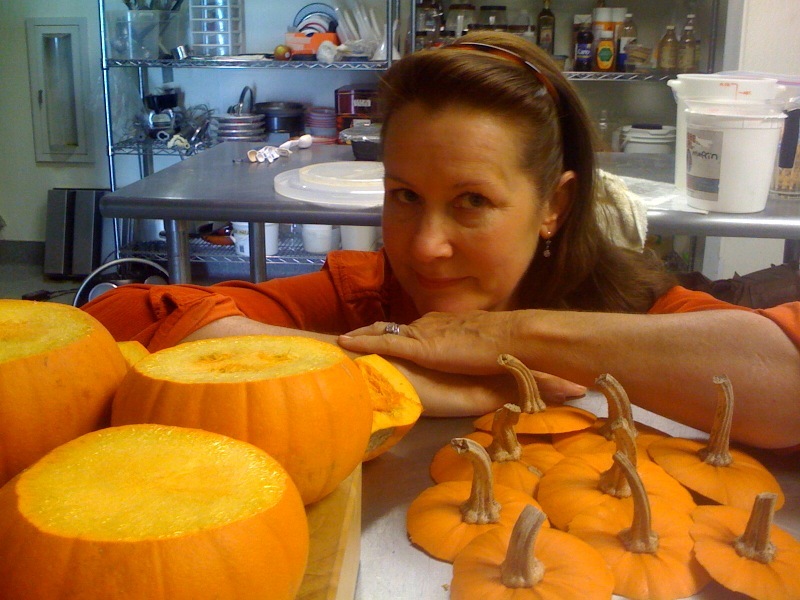 Lisa’s long career as a food stylist (beginning at CBS in 1952) and Tracy’s experience as her assistant for many years along with 10 years as a caterer in Los Angeles gave them many skills to make their products beautiful and inviting. In January 2000, Saveur Magazine did a piece listing them as #3 in their top 100 products of the year. Soon they heard form the New York Times, Dean & Deluca, Esquire Magazine and many others. A move in 2000 to the Santa Ynez Valley provided a kitchen of their own as their business grew. The Food Network featured the mother/daughter team on “Food Finds” which first aired in May of 2001. Customers began calling us from almost every state in the country. Then something happened that no one could have expected. Lisa, at the far too young age of 69, found out that she had cancer and in April of 2004 lost her valiant battle with the disease. It was very difficult for Tracy to know how to proceed. Lisa had been her inspiration for her food career and still is the single biggest influence in her path in this life of food. Ocean View Sweets wavered a bit and took a few steps back. It was 2 years before Tracy mastered the marshmallows. After much thought, great consideration and a year at the Cordon Bleu Institute in Los Angeles, Stewart and Clark Fine Foods rose out of Ocean View Sweets and began refreshed and ready for a rearranged path. The name Stewart and Clark comes from Tracy’s and her husband’s middle names. It’s simple, easy to remember and can go anywhere. In 2009. Stewart and Clark Fine Foods moved into a new kitchen in San Luis Obispo, CA about 40 minutes North of Los Olivos; and area which they love. To honor Tracy’s mother, Stewart and Clark Fine Foods maintain “Mama Lisa” and “OVS” references everywhere. The name Stewart and Clark may be newer but the base of the company has its roots firmly planted in Ocean View Sweets and Santa Barbara County. They feel their good fortune now comes from all the groundwork of Tracy and her mother’s history. With a book on the way, managing her catering, and co-owning Fiero Cafe with her husband, Glenn, Chef Tracy is as busy as ever, feeling fortunate to be in a great place and with the devotion to feeding her customers the best of what she can produce. To find out more about Chef Tracy’s story, visit www.stewartandclark.com or check out their blog and Fiero Cafe specials at www.stewartandclark.tv. Motherhood Talk Radio is powered by Motherhood Incorporated, bringing you the most powerful voice in women’s issues today and is hosted by Sandra Beck, Christy Holly and Rick Swanson. Motherhood Talk Radio airs on www.Toginet.com every Tuesday, 3 pm pacific, 4pm mountain, 5 pm central and 6 pm eastern and can be downloaded from www.Itunes.com and www.motherhoodtalkradio.com.